Go from an Advanced recreational level to the first level of a PADI Dive Pro. The Go2Pro package has been created to guarantee you the best possibilities to get enough experience and knowledge to enhance your job opportunities! The package is a comprehensive training program designed to develop the skills and attitudes required to become a PADI Dive Professional. 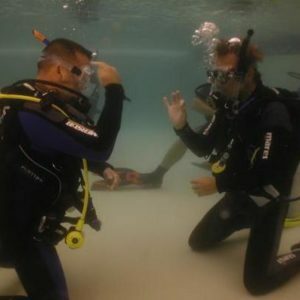 You will start with the 2 recreational courses that will take you from Advanced , to Emergency First Response course where you will learn basic Resuscitation and First Aid Techniques, to the PADI Rescue Diver level where you will learn how to prevent and solve problems in the water. 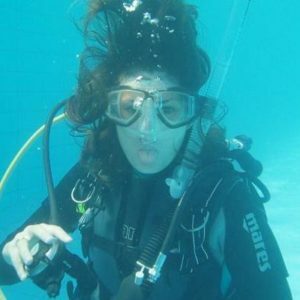 Being already a Rescue Diver you are only a step away from becoming a Dive Professional. Nevertheless a good professional needs not only a good training but also enough experience in different areas to be able to fulfil his/her position as a role model. That’s why at Cydive we have included 5 specialties in your Go2Pro package. During the training, you will take part in 5 specialty courses that will enhance your knowledge and skills in specific areas of diving. 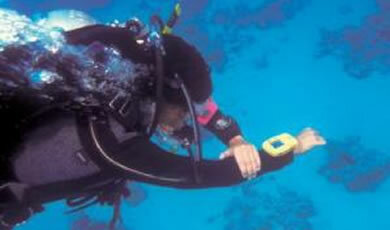 Our Go2Pro pack includes the following 5 specialty courses : Deep Diver, Underwater Navigation, PPB, Multilevel, Naturalist. During the Divemaster program you will learn a lot more about the Dive Theory which will cover subjects like; Physic, Physiology, Equipment, Use of the RDP Table version and the RDP Wheel, General Skills. All this for ONLY: 2119.00 Euro!! 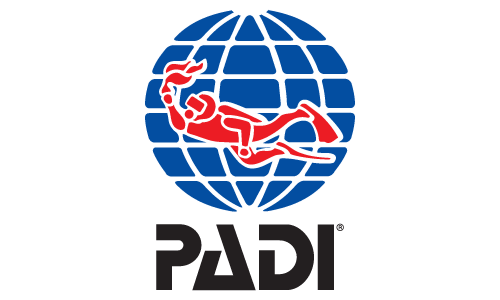 PADI Dive Master application FEE, Transportation to & from the centre/ airport, Accommodation. To be eligible to participate in the Go2Pro pack, candidates need to make a deposit of 30% (non-refundable) at least a month before the Program starts. Deposit can be made via Credit card, please contact us for details. Full payment needs to be made latest upon arrival at the Diving Centre. In case the training should be interrupted for Medical or other kind of emergencies, the candidate will receive a credit equal to the part of the training remaining. This can be converted in other services of the centre, or will give you the opportunity to resume training within 12 months from the date of the last portion of the training.